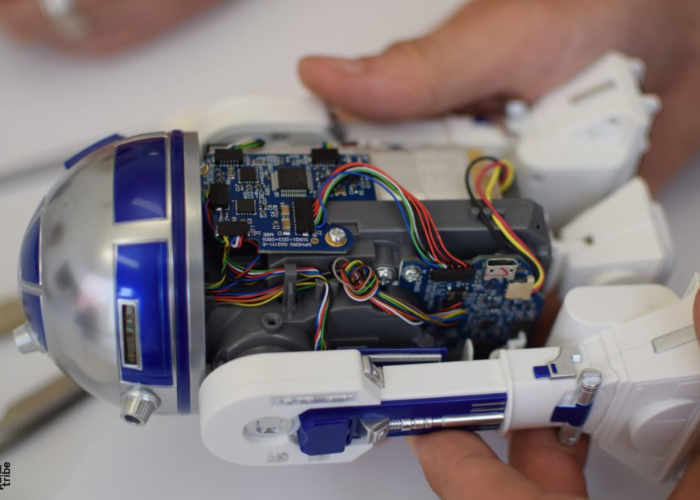 Anyone interested in seeing the electronics and mechanics included in the Sphero R2-D2 robot which is currently available to purchase from the likes of Amazon and others priced at around £180, are sure to enjoy this Sphero R2-D2 teardown carried out by the team over at MindTribe. 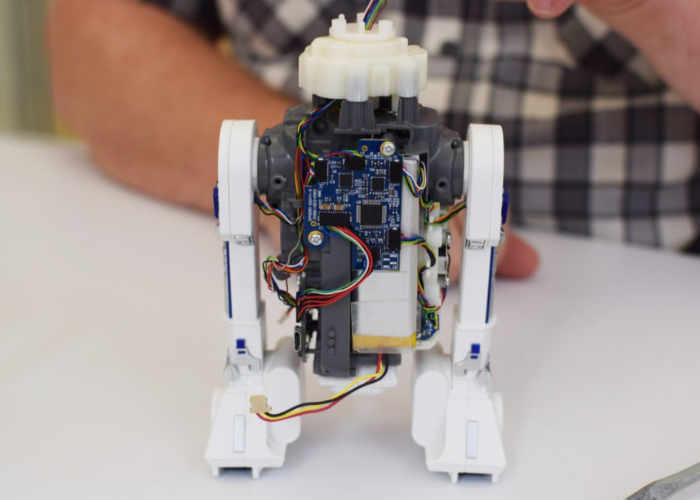 For the full dissection of the loveable Star Wars R2-D2 droid jump over to the official MindTribe website by following the link below. We started by removing the body’s snap mechanisms. This immediately exposed two circuit boards and a fairly sizeable 250mAh LiPo battery. Sphero’s choice of this battery comes as no surprise as the size is reasonable for this specific application – most smartphones, medical devices, and cameras typically use a similar battery. The battery was affixed just beneath one of the circuit boards. At first glance, we saw that there was a ton of cabling linking the two circuit boards together, and the boards fit perfectly within R2-D2’s smallish form factor. – Authentic Movement – Drive R2-D2 with your device, go from bipod to tripod stances, or trigger emotive waddles. – Holographic Simulation – Explore the Star WarsTM galaxy, roam iconic ship interiors, and more. – Droid to Droid Experience – Watch R2-D2 interact with other Sphero Star WarsTM App-Enabled Droids. – Watch With Me – View films from the Star Wars saga with R2-D2 reacting by your side. – Integrated Speaker & LEDs – Sounds come right from R2-D2, and front and rear lights are fully functional. R2-D2 is an astro-mech droid from a galaxy far, far away…. Control your droid with your smart device or keep Artoo in top shape with augmented reality training. Artoo’s signature front and rear LED lights are fully functional, and an integrated speaker means the beeps and boops come right from R2-D2 itself. Watch Artoo interact with other Star Wars App-enabled Droids by Sphero, and view films from the Star Wars saga with R2-D2 reacting by your side. This iconic droid has been brought to life like never before.